First Worship Service October 1, 1944, 2760 “D” Street in a renovated home. 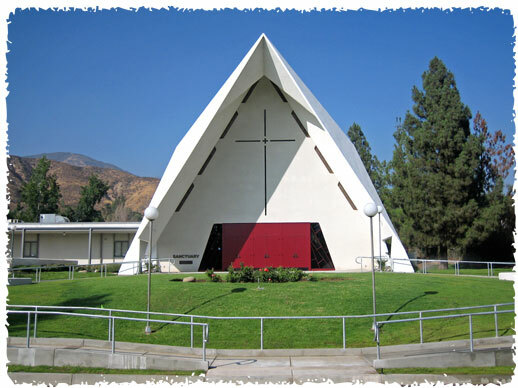 Officially organized May 1945, American Lutheran Church. Dedication of New Chapel April 7, 1946, 30th and “G” Streets. First Parsonage Completed, February 1948. 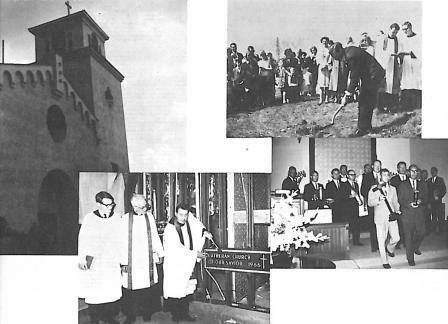 Groundbreaking for New Sanctuary, April 17, 1948. Laying of Cornerstone, May 28, 1950. Dedication of New Sanctuary, March 30, 1952. Dedication of a new Education Unit and Parsonage, April 3, 1955. 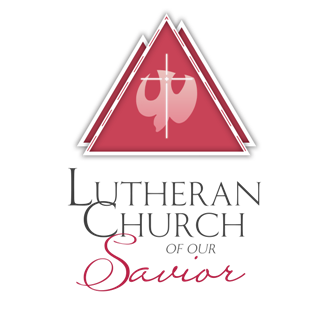 Became member of the American Lutheran Church, 1964. Church Planning Committee takes tour for a new Church site, September 24, 1964. Last Service at LCOS, 30th and “G” Street, August 28, 1966. Groundbreaking at New Site Parish Hall, February 27, 1966, 5050 N. Sierra Way. Parish Hall completed, September 1966. 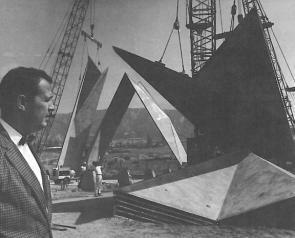 Laying of New Cornerstone for Sanctuary, October 30, 1966. 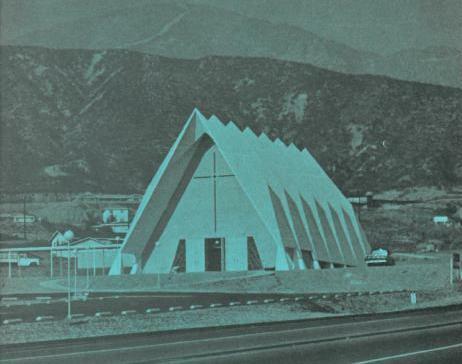 Dedication of New Sanctuary and Parish Hall, January 29, 1967. Dedication of New Addition: Offices, Library and Nursery, June 20, 1976. Installation of Stained Glass Windows, December 19, 1978. Groundbreaking for New Education Unit, March 20, 1988. Dedication of new Visser-Rowland Pipe Organ, October 29, 1989. 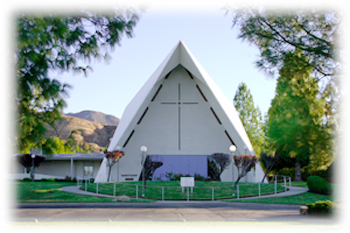 Became a part of the Evangelical Lutheran Church in America, 1991. Celebration of its 50th Anniversary, May 21, 1995. Dedication of Friendship Center, April 22, 2001. Groundbreaking for Renovation, September 21, 2008. First worship in renovated sanctuary, September 13, 2009. Dedication of renovated facilities, October 18, 2009. Celebration of 65th Anniversary of the Congregation, June 6, 2010. Pastors Hall, Caudill, Hoffman, & Holtz at 65th Anniversary.